Tell me, are you a coffee addict or a tea lover? I like coffee, I can’t start the day without one. I like it strong with little milk and very hot. Lukewarm coffee, no thank you! 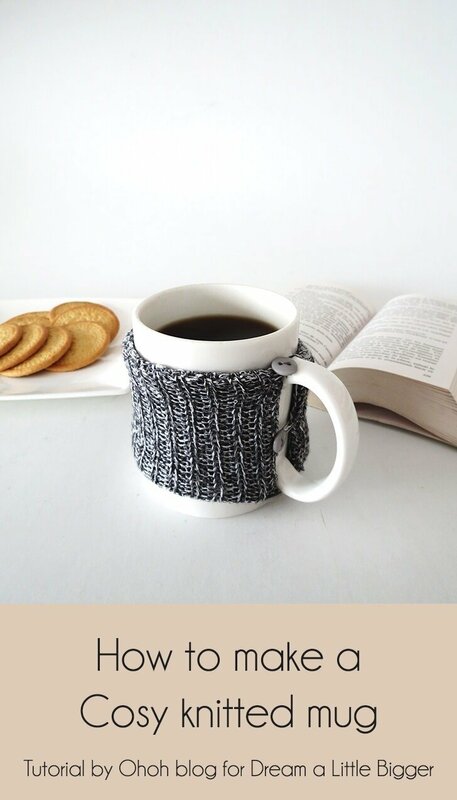 This is the perfect craft the keep your drink warm longer. 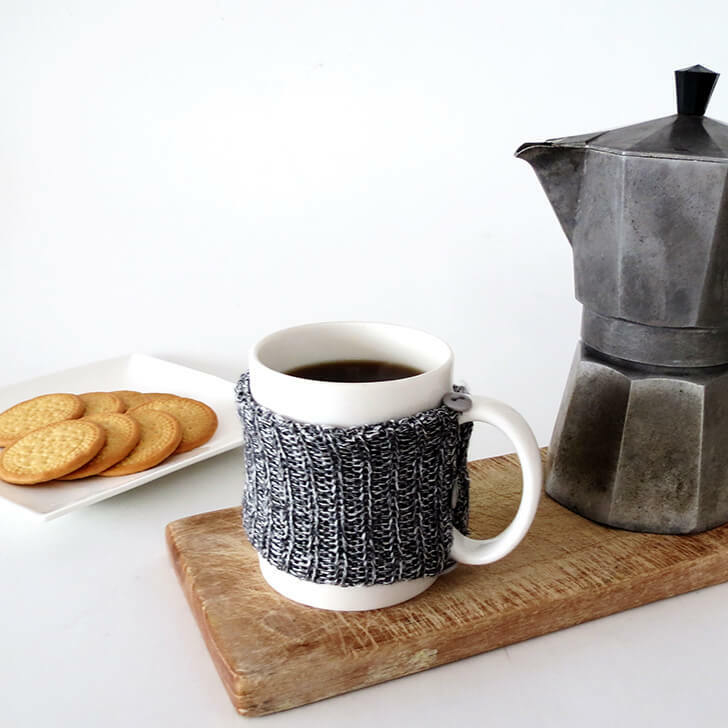 No matter your tastes, coffee, tea or hot chocolate, you’ll like this tutorial. 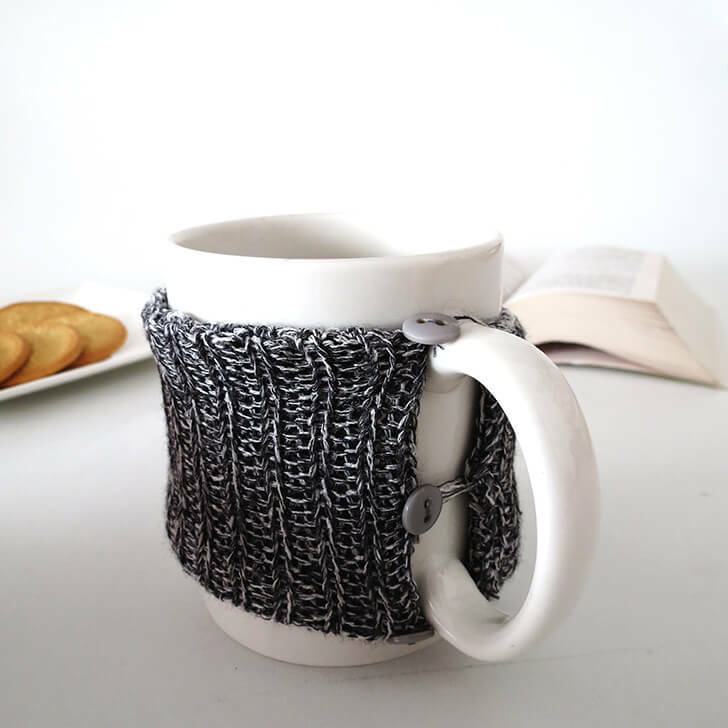 Plus, you don’t need to know how to knit to make this cosy mug. 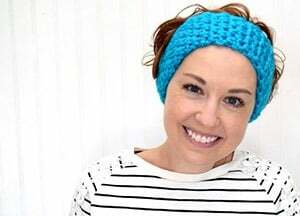 You can use some knit fabric or upcycle an old sweater. 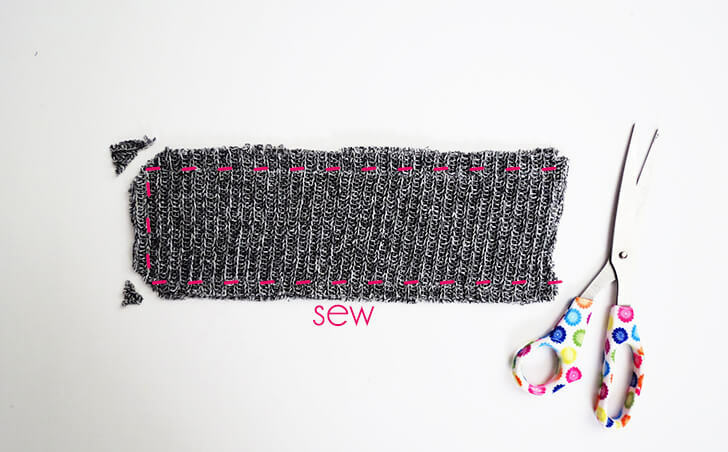 In the fabric or the sweater, cut two rectangle of 10 inches by 4 inches. Place them on top of each other, wrong side in, and sew them together on 3 sides. Cut out the corners. Return the piece to have the right side out. 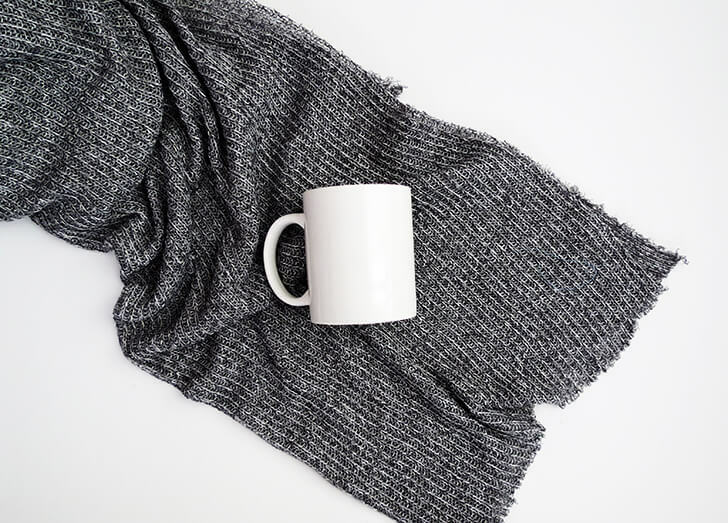 Fold the edges of the opening through inside, and make a few hand stitches to close it.To attach the cover on the mug, you have to sew 3 buttons on the side. 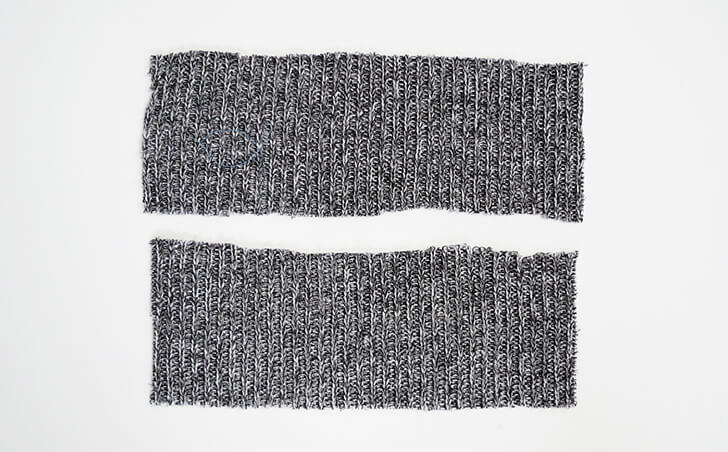 Then, you sew 3 loops with yarn on the opposite side. 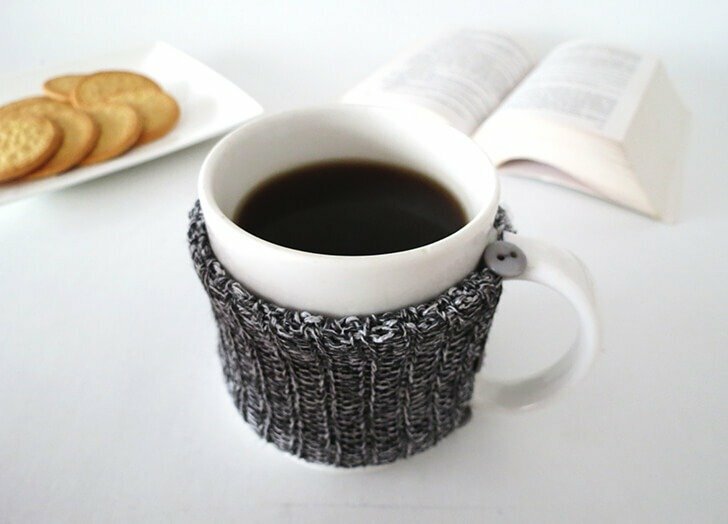 Wrap the cover around your mug and pass the buttons through the loops. And ready to enjoy a warm coffee or tea!